Decatur, Georgia, was in the news a week ago. A school shooting nearly became deadly, and, I speculate because of the publicity about it, a workplace shooting occurred over the weekend. Mass shootings follow a known pattern - another form of school, business-related, or mass violence usually comes within days of a well-publicized event - then more routinely another shooting happens in a week, two weeks, a month, and a year. It doesn't always take place with such regularity, but it often does. The other predictor of future shootings is the copycat effect that comes into play after an end of the school year outburst. It feels like a Newtown bounce this fall may happen; I hope not but such a possibility is worthy of being on our radar. Awareness is a key. People protecting others in schools, colleges, malls, churches, workplaces, and similar locations need to be alert. We are entering a dangerous "red zone" time of year. Decatur again. Yes. We are use to Decatur in the weird news. 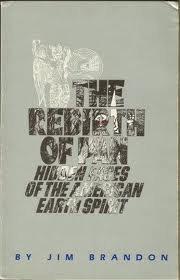 Jim Brandon pointed out "Decatur" as a "power name" in his The Rebirth of Pan in 1983, and I wrote about it as part of the "Name Game" in Mysterious America, also first in 1983. 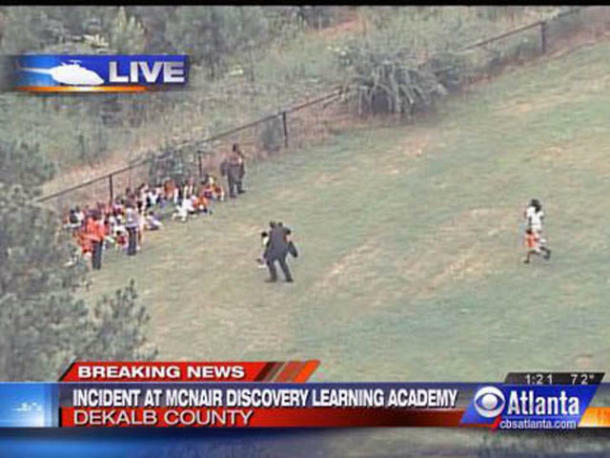 First described as "Atlanta-area," the "almost deadly" school shooting happening last Tuesday, August 20, 2013, occurred at Decatur, Georgia's Ronald E. McNair Discovery Learning Academy. The elementary school was named for the second AfricanAmerican astronaut, who died aboard the Challenger, the space shuttle that exploded after takeoff on January 28, 1986. Michael Brandon Hill, 20, opened fire in the school, using an AK-47, to six bullets in the floor of the office. But as he was calmed down by school bookkeeper Antoinette Tuff, who spoke to Hill while on the phone with the 911 operator. She talked him into surrendering, and the publicity was heightened when President Obama called her a "hero." Investigator T.L. Wortham of the DeKalb County Sheriff Department's Fugitive Unit told the media that as officers were apprehending the suspect, Hill said, "I'm sorry, I'm off my meds." Several weapons were seized, Wortham said. 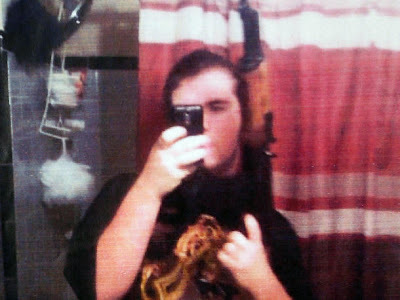 Hill took a photo of himself (a "selfie") with an AK 47-style rifle and packed up nearly 500 rounds of ammunition — enough to shoot more than half the school's students - police later said. After the Decatur incident, another shooting - with six shot - occurred on Saturday, August 25, 2013, in Lake Butler, Florida. The alleged shooter, Hubert Allen Jr., 72, was reported dead of a self-inflicted gunshot wound after a “complete shooting rampage” at Pritchett Trucking. The owner of Pritchett Trucking and the farm, Rolling Oaks, Marvin Pritchett, 80, was first killed. Allen then drove to a local bar where he shot and killed Romando Gonzales Delgado, 28, and then killed himself. The gunman was identified as the step-grandfather of Buffalo Bills running back C.J. Spiller. Decatur, Georgia, has had its brushes with infamy in the recent past. In June 5, 2012, a fight lead to a stabbing Decatur’s Columbia High School. Two days later, on Thursday, June 7, 2012, a gun was brought to the DeKalb County school after stabbing incident. 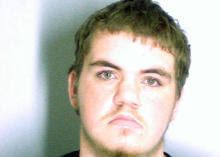 And then on Wednesday, Sept. 19, 2012, loaded guns were seized at two area high schools. Decatur, Illinois's old Transfer Station use to be located near Lincoln Square, named after the assassinated Illinois president. 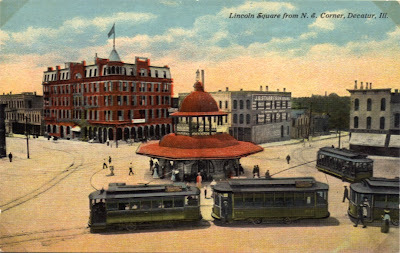 My old hometown’s name, Decatur, (of Decatur, Illinois) has a Fortean mystique and synchromysticism about it that has created all kinds of mojo. 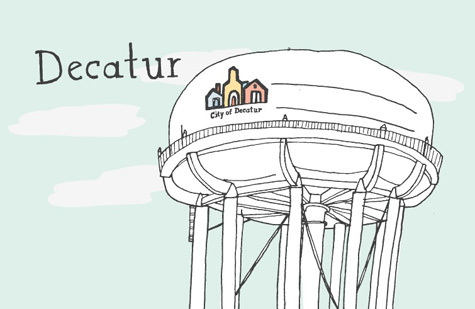 Several locations are named "Decatur" across the United States of America. Such sites are named after the War of 1812′s Navy hero, Stephen Decatur, who fought against the Barbary pirates. Decatur at one time conducted tests in the Pine Barrens of New Jersey in 1804, and fired on the Jersey Devil. The records say that Stephen Decatur identified the winged creature as a “devil” – pale in color, with leathery bat-like wings. Decatur perforated one of the thing’s wings with a fired cannonball, but it seemed unfazed, which disturbed everybody who was there at the time. It flew off. 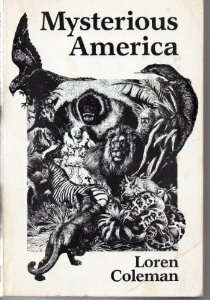 The word decatur (French in origin) is loosely translated as “dweller at the sign of the cat,” and Native Americans who lived in the area that is now Central Illinois had numerous stories of encounters with large dark predatory cats, which are still sighted in the area to this very day. Stephen Decatur, a Masonic figure of some noteworthiness, is responsible, as well, for the Stephen Decatur House in Washington D.C., which is located on Lafayette Square. Should we be surprised if an outburst of new violence occurs in the wake of the copycat effect recoil from Newtown? Will it "pick" a location with a "power name"? How can the next wave be prevented? Certainly, ignoring the patterns of the past is not wise. Notable landmarks and locations near Ronald E. McNair Discovery Learning Academy are Fayetteville Road which is slightly to the west, and Columbia High School is a little further to the east. 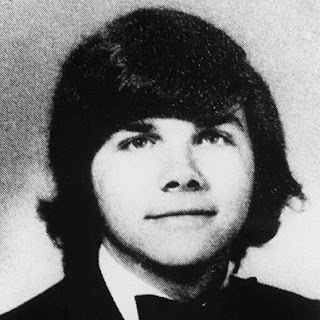 Columbia High was the school Mark David Chapman attended when he lived in Decatur. Faulkner University shooting in Alabama yesterday occurred off Atlanta Highway. The Challenger catastrophe was a key news event in my teens. In fact, I had written a cartoon panel for a cartoon series called "Kimball Parish" in the fall of '85 but had not finished it. Curiously it was about the characters aboard a space shuttle flight. I finished it soon after the Challenger explosion, however. Very eerie. In terms of mass shootings, 1986 was a key year - going postal - with the August 20, 1986 mass shooting at the Edmond, Oklahoma post office (just up the road from where I am sittng). There's that date - August 20th - 27 years later. Anyway, in Feb. 2003, in the run-up to the invasion of Iraq, we had the COLUMBIA disaster, something I covered as a reporter in Louisiana where pieces of it fell from the sky. And now we have what could very likely be another disastrous engagement in the Middle East, as we get a Ronald McNair sync.